Der Artikel Bachman-Turner Overdrive: Head On wurde in den Warenkorb gelegt. 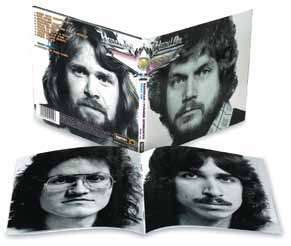 Canadian rock group originally formed as Brave Belt in 1970 by ex-Guess Who guitarist Randy Bachman (vocals, bass), his brother Robbie (drums) and guitarists C. Fred Turner and Chad Allen (also ex-Guess Who). Tired of the same old ‘chugging’ rhythms - even though they were the basis of big hits like ‘You Ain’t Seen Nothing Yet’ - BTO diversified on their fifth album, ‘Head On’ (1975), and revisited their jazzy-blues roots.